For this hop we will be featuring the letter "C". This may be the name of a paper, a stamp set or an embellishment. Whatever the crafter has chosen as their "C" element will be featured in their post. If you came from "Michelle Battitori - Michelle's Handmade World" then you're on the right track! My letter "C" stands for "Card & Candy". I made a Building Block card from a tutorial on Splitcoaststampers site and decorated a candy filled pillow box. Click here for the card tutorial. This card is sooo cute!! I used the new Lollydoodle paper packet. My handy dandy Artiste cricut cart cut the "Love You" letters and the shape for the front of the card. The sentiment, owls and branch is stamped using our new "Owls" stamp set!! Aren't they the cutest!! I added so hearts from the Whoo's your Valentine retired special stamp set. I used a combination of Cotton Candy, Black, Pear and Chocolate inks. I colored in the owls using the CTMH Silver Metallic marker and gel pins I had. I also had some fun quickly decorating a coordinating pillow box. I again used Lollydoodle paper and a heart shape punch to punch out hearts in Cotton Candy and Pear card stock. I added a tag from the Holiday Tags stamp set. The shape of the tag was cut from the Artiste cart and stamped in black. The "Happy Valentine's Day" sentiment was stamped in Cotton Candy ink. I used Paradise Assortment Bakers Twine to hand the tag off the side. Up close of the dimension on this card. I fussy cut out the owls and use 3-D foam tape to make them pop. 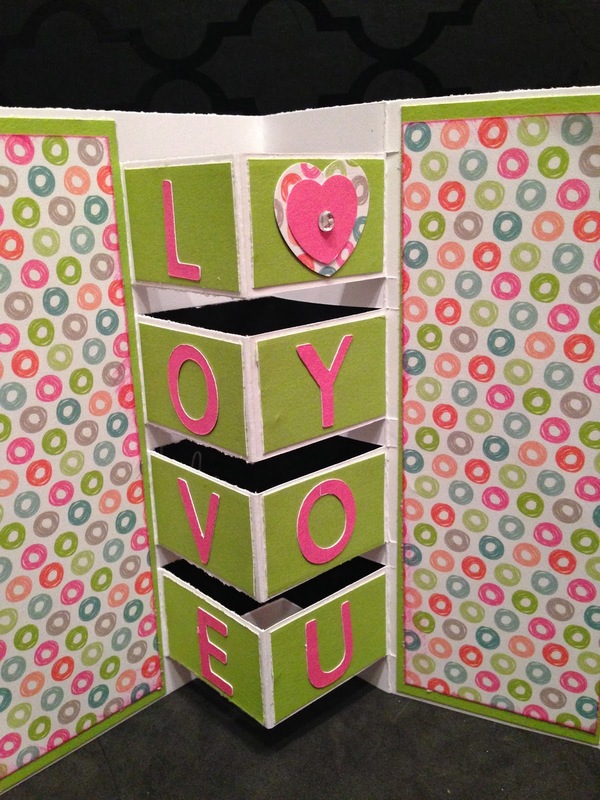 Such a fun card and candy box you could use a great Valentines Day gift!! 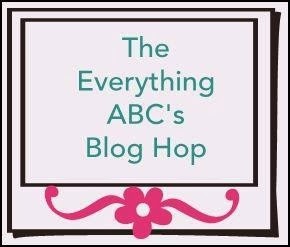 Your next stop on our Everything ABC'S blog Hop is "Wendy Kessler's Blog". Those owls are so cute- I have ordered this paper pack and stamp set and I can't wait to have a play now! This card is on my list to make! Love your owls! Thank you! I have to make more...I just love the style! Thank you to however dreamed this card up lol The owl stamp set is so stinkin cute! LOVE this card! So super cute!! Too cute... I saw it too on Splitcoasters. It's on my Crafty To Do list. Love your creation! Thank you for the love :-) I love that website they have some wonderful tutorials!